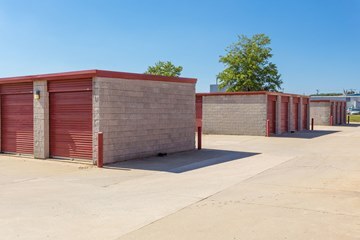 Fort Knox - Woodbridge | Self Storage Services Inc.
Our facility is located on Reddy Drive, directly next door to Enterprise Rent-A-Car, allowing us to offer a variety of storage units to the communities of Woodbridge, Dale City, Dumfries, Montclair, Southbridge, and Occoquan, Virginia. We’re just off US Route 1, so come by and visit us! Looking for a convenient place to store your vehicle? Look no more! Our facility is located just off Highway 1 in Woodbridge, Virginia, offering our tenants an easy way to drive out here. Unless you’re constantly road-tripping around the country, chances are your RV spends most of its time parked at the side of the road or taking up valuable space in your driveway. This is not only inconvenient for your family, but also not ideal in terms of security for your vehicle. Luckily, our storage spaces are perfect for your RV, car, boat and nearly any kind of vehicle you may have. At Fort Knox Self Storage – Woodbridge, keeping your goods safe and secure is a priority. Our facility is fully fenced with a functioning automated gate system and a variety of security cameras, meaning you will always have peace of mind – whether you need to store your vehicle or the entire contents of your house. Maybe you need space for your college material? No problem! Students from nearby Everest College – Woodbridge and Northern Virginia Community College – Woodbridge Campus can benefit from the affordable pricing of our storage units. We’re happy to help with anything you need, so call us today. Se habla Español!